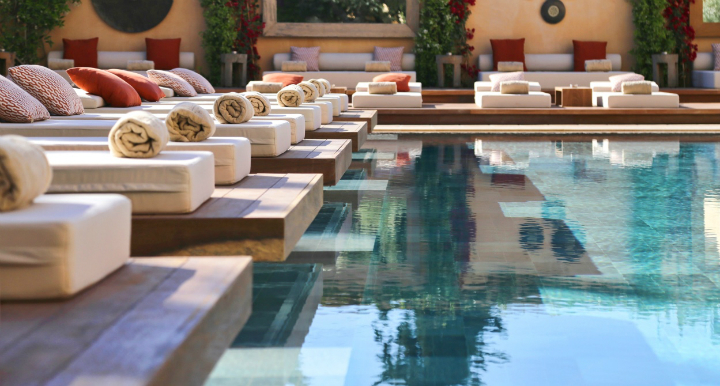 Design hotels are flourishing all across the globe, delivering impressive interiors, incomparable design features and a deeper look into arts and culture, on top of personalized service, central locations and other sought after conveniences. As a growing, modernizing city, it’s no surprise that Athens has established itself quite a stylish collection. 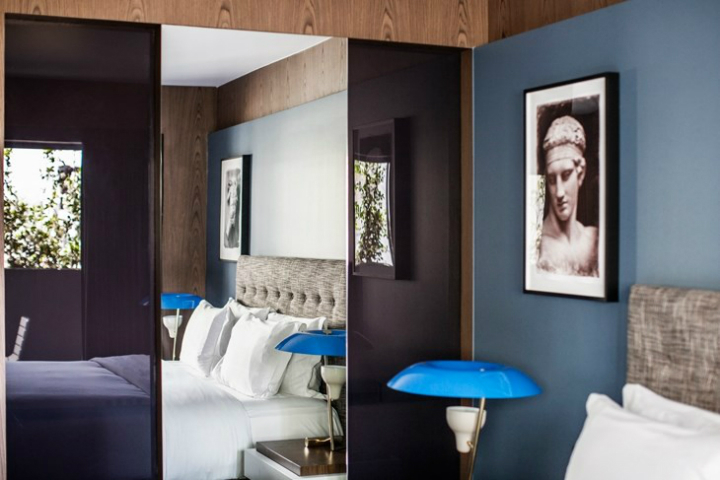 Whether they’re brand new, contemporary structures, or simply modern updates to historic ones, the city’s top design hotels are sure to make your stay an experience unlike any other. Visiting soon? Check out (and check in!) to some of my favorites. Each boasting their own unique charm, these 6 hotels in Athens stand out among the rest and leave their guests (including myself) in awe. 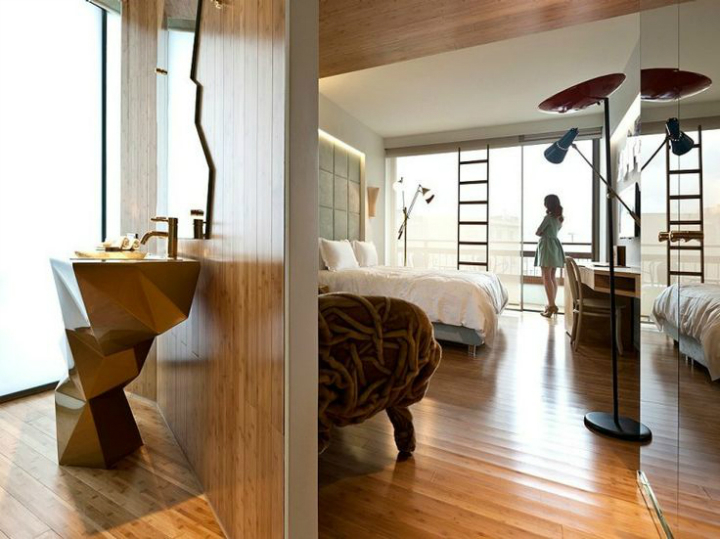 New Hotel is the result of a major hotel refurbishment project of designer duo Fernando and Humberto Campana. Throughout the modernist building, the designs are consistently intense and quite intriguing. Suites and community rooms are full of natural light and quirky modern furnishings. Although the comfort and decor are reason alone to visit, the hotel also boasts a lounge that features a unique art library with more than 2000 art book titles. Sitting in the heart of Kolonaki, Coco-Mat Hotel Athens is another luxury, design hotel that’s sure to sweep you off your feet. 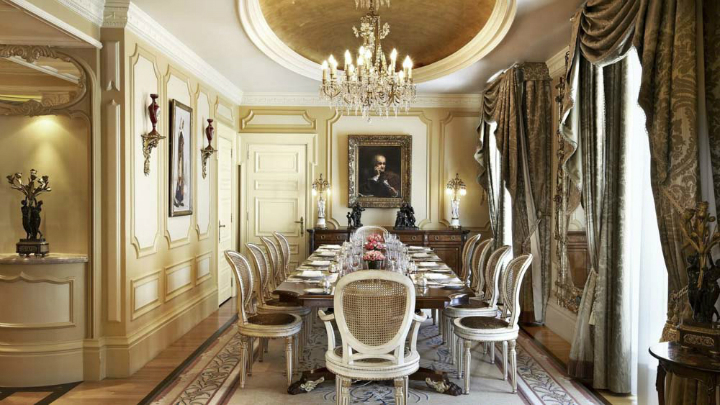 The epitome of modern elegance, it is a haven for urban adventurers and romantics alike. 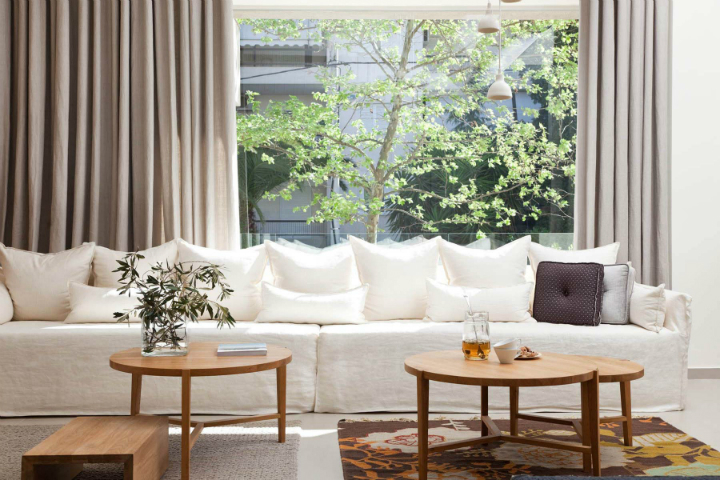 The inviting rooms feature crisp neutral shades and minimalistic furniture and fixtures throughout. Coco-Mat not only stands out for its welcoming chic atmosphere, but also through its respect for traditional local architecture. 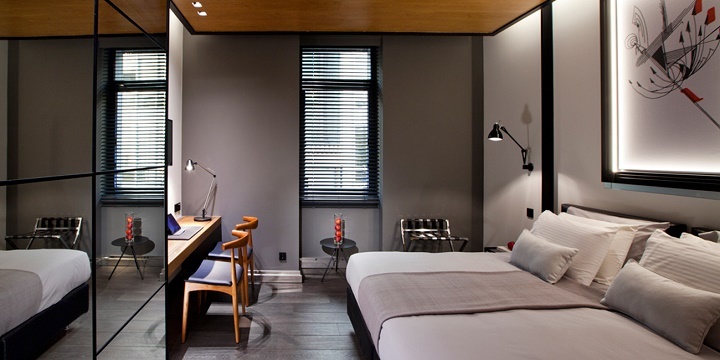 MET34 Athens Hotel provides stylish, luxurious rooms equipped with the latest and greatest technology and amenities, offering high quality accommodation and a sleek, fresh ambience. Embracing a new hospitality philosophy, MET34 Athens Hotel aims to serve as a home away from home for its guests. The hotel itself is brilliantly located, just a short walking distance to many local attractions and offerings. The Margi is the proud work of owner Maria Stavridis and her son Giagkos Agiostratitis. The colonial style architecture and decoration, along with the high attention paid to each small detail, make it sophisticated in design while still offering all of the mod cons you could ask for. Artwork from all corners of the world, in combination with soft elements like candlelit tables and whimsical prints, create a warm and elegant atmosphere that’s particularly perfect for a romantic giveaway. The AthensWas Hotel was designed around the basic principles of classic modernism from the 30’s to the 70’s. Clean lines and natural materials (such as wood and marble) shape the aesthetics of the rooms and suites, alongside contemporary furnishings. AthensWas hotel distinguishes itself through bright and warm aesthetics, leaving guests with a feeling of serenity and contentment. 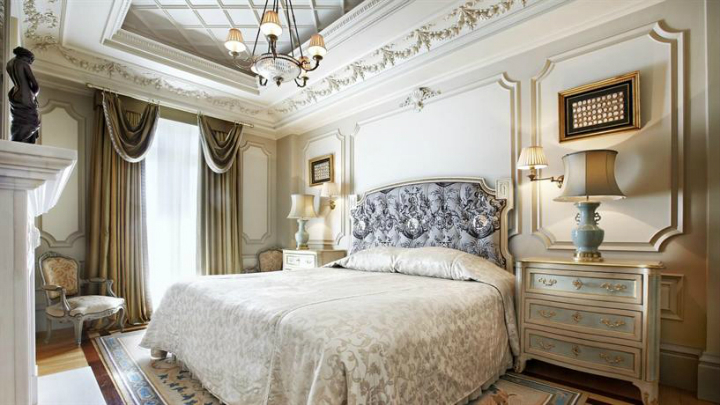 Hotel Grand Bretagne is probably the most well known for its exquisite design and impeccable service, landing it on every A-listers place to stay in Athens. Personally, it’s also my favorite. 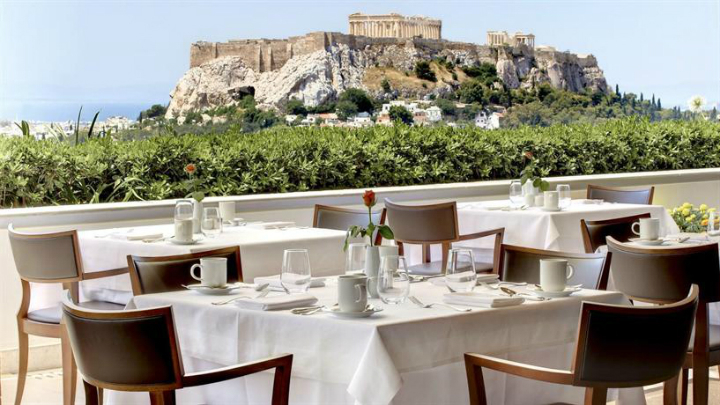 Showcasing fantastic views across some of the city’s most famous landmarks, the design of the hotel largely celebrates Greek culture. Gorgeous rooms with high ceilings and large windows are filled with antiques, and a large collection of original artwork adorns the walls. In addition to all of its beauty and splendor, the Hotel Grand Bretagne is also accompanied by state-of- the-art facilities and fantastic hospitality. The GB Roof Garden Restaurant is the perfect spot to enjoy a delectable breakfast (with a perfect view) before heading out for a long day of exploration, and the GB Spa offers top-notch services for when it’s time to kick off your shoes and unwind.